If your local business, school or community group is in Somerset, you could become a crane champion! Becoming a champion links you to one of the cranes, and you will be able to follow a particular bird’s progress over the coming years as it learns to live in and adapt to the UK landscape. Since 2010 over 55 birds have been championed with many of the Somerset Levels and Moors local primary schools, local B&B's, Pubs and businesses all involved. Become part of the growing crane community! Project staff and volunteers may be available to visit local schools and larger community groups to talk about the amazing cranes and our wonderful wetlands. Championing a crane could not be simpler. Just go to contacts (link at bottom of page) and send the name of your school, community group or local business, your contact details and which bird you would like to champion. Select a bird by going onto the individual 'meet the cranes' pages to find your favourite. Your group, school or businesses' name will then be put up on the site alongside your chosen bird where everyone accessing the website can see it. 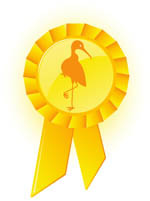 You will also be sent a champion's certificate with a photo of your bird to print out and display with pride! You will then be able to follow the progress of 'your' crane via the 'meet the cranes' pages over the coming years. To set yourself up just click on the word contact and send your details! Squidgy has been championed by Headway, Yeovil. Lisa and the team at Viridor Credits Environmental Company. Rosa has been championed by Vielfalt Biosphere - Schorfheide-Chorin Biosphere Reserve, Brandenburg.